The first decaffeinated coffee was produced over 100 years ago by a German coffee importer. For the more widespread consumption of coffee without caffeine, it appears to have happened before time. Only in the 1960’s, the healthy habit rapidly spread from Germany to some parts of Europe. By the 1970’s it was established in the USA. Analyzing the pros and cons of the different methods of decaffeination, to reach a premium cup of decaffeinated coffee, a good Arabica coffee bean is needed, as bad coffee tastes lousy whether or not it is decaffeinated, good beans make good flavour, decaffeinated or not. Consumers drink particular coffee for taste and flavour and decaffeinated drinkers are no different. From our experience we suggest to use Colombian, East African and Indonesian coffee beans, such as Colombia, Kenya and Sumatra to make a good flavored decaffeinated cup of coffee. 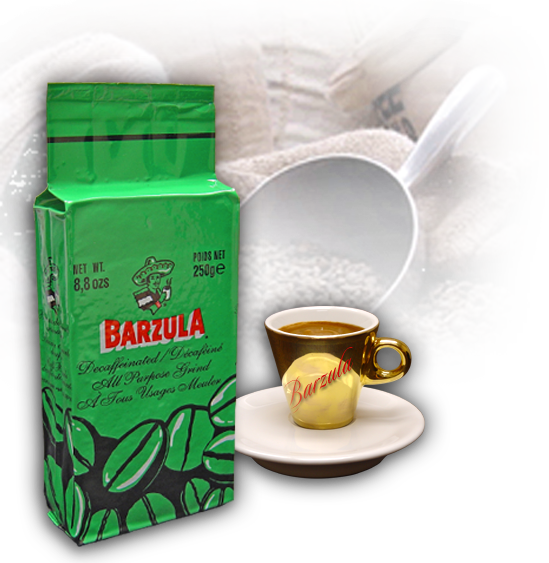 Currently, the more commonly used methods are the chemical and water processes, the professionals at Barzula use the water-only process.